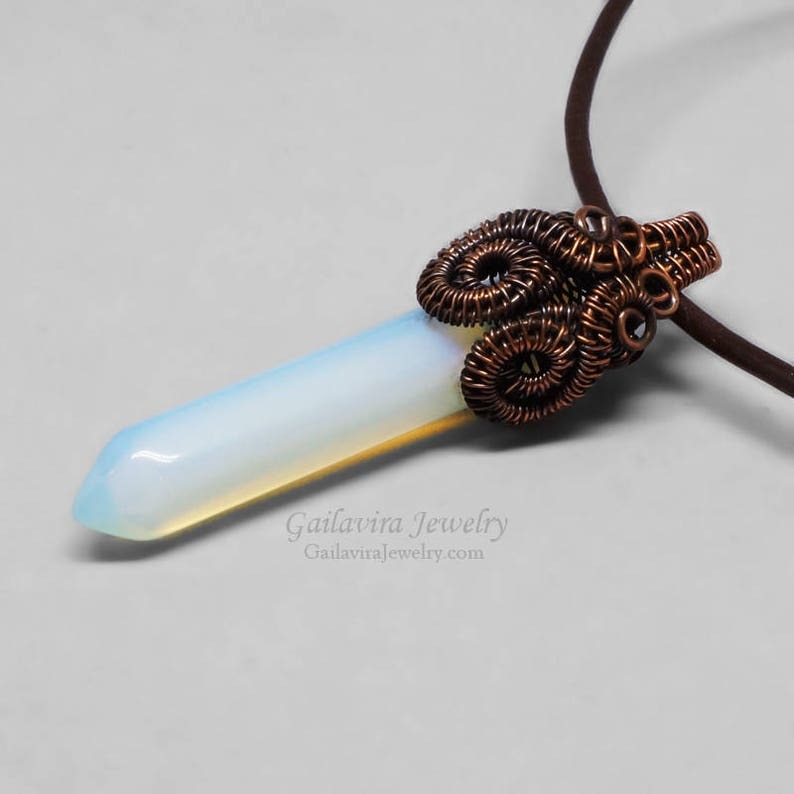 Woven swirls of darkened copper grace the top of an Opalite crystal point pendant. 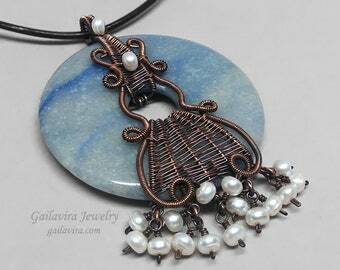 Pendant is approximately 1/2" (14mm) wide and 2 1/4" (55mm) long. Pendant will be hung from your choice of necklace. Please make your selection using the drop down menus near the add to cart button. Necklace shown in the photos is round brown leather. 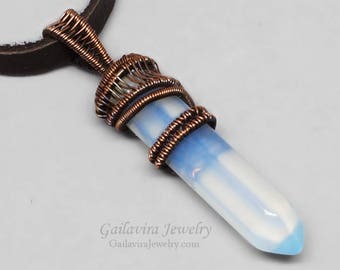 "Opalite" is a man made stone. It is actually a type of glass that is cut and polished in a similar manner that stone is cut and polished. 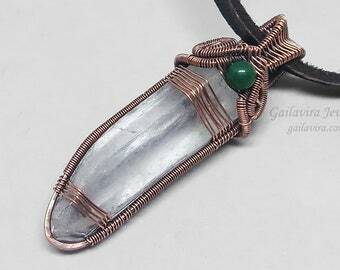 It's also sold under the names sea opal, faux moonstone, and rainbow glass.